March 8th, 2014 rescued from last weekend’s rain storm. 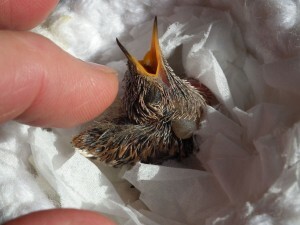 This is an Allen’s Hummingbird approximately 13 days old. 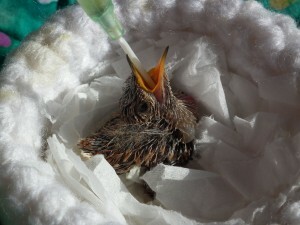 His nest was soaking wet and he was extremely cold when first found. Mother had not returned after several hours. Very fortunate he has made this far.